Whether you're looking for an adventure or simply need a change of pace, choosing to teach overseas can be a life-changing experience. For first-timers, however, it can also be a little intimidating. You may even begin to question if it's right for you. While international recruitment agencies don't have a cookie cutter recipe for the perfect international teacher, here are a few ideal qualities that can boost your chances. 1. You're qualified. You don't have to speak the local language to teach English in a foreign country. In fact, being proficient in the English language is a greater asset than being passably multilingual. Though the exact qualifications necessary can vary for every recruitment agency, many international schools require the applicant to have a Bachelor's degree in their subject area. 2. You have teaching experience. Though most international recruitment agencies and schools do not require prior overseas teaching experience, most do require applicants to have at least some teaching experience under their belt. 3. You're adaptable. Going through a recruitment agency will help prepare you for your new job. However, chances are the way the school is run will be much different than what you are used to. Furthermore, you'll be teaching a group of students with a variety of backgrounds and nationalities, some of which may have vastly different customs from what you're used to. It's important that you are ready and willing to adapt to a new environment and culture. 4. You're patient. Teaching overseas can certainly be rewarding, but there are times when it will be difficult too. There will be language barriers to pass, so getting your point across won't always be easy. International recruitment agencies tend to find that the best candidates are the ones who have patience and are able to turn a struggle into a positive learning experience. 5. You're adventurous. Working with a recruitment agency means living abroad and immersing yourself into a brand new culture. Your experience overseas will be enhanced if you take advantage of the opportunity and commit to your new and exciting lifestyle. 6. You're passionate about teaching. This is an important quality for every teacher, but even more so for those going overseas. 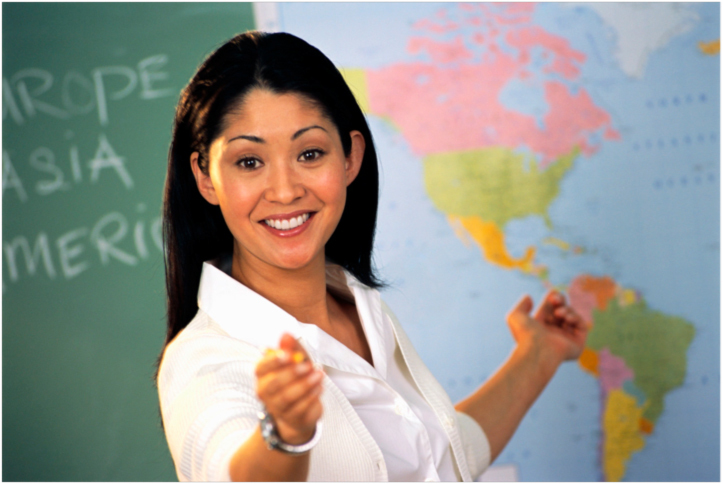 When possible, an international recruitment agency will try to place a teacher where there is the most need. In these situations it is the dynamic, enthusiastic, and passionate individuals who can make the most impact. If you think you possess these qualities, there's a chance teaching overseas will be a great fit. Even if you're not sure, it's still a great idea to meet with a recruitment agency to discuss your options. As Nelson Mandela once said, "Education is the most powerful weapon which you can use to change the world." And changing the world starts the way most things do: one step at a time.